The Pullman Center of Spokane Falls Community College, which was in danger of being shut down just a few weeks ago, has found a new home. In May, President Janet Gullickson made some announcements regarding the possible closure of the Pullman Center and even held applications for admission and sent letters to prospective students saying the Center would only be operating with limited classes for Fall 2016. This resulted in students and faculty rallying to show support for the campus, especially since the campus was a profitable venture. Since the center’s lease for the space in the Gladish Community and Cultural Center ends in June 2017 there was an opportunity to find other space that would cost less to rent. An appropriate location was found in Kruegel Hall on the Washington State University campus. Kruegel Hall offers ample space for classrooms and offices for less rent, making the Pullman Center even more profitable. Because many of the students currently enrolled at the SFCC Pullman Center are family members of foreign students attending WSU, someday aspire to transfer to WSU, or have already attended WSU and need some extra help getting their GPA back up, it made logical sense to partner with Washington State University. And it’s not just the students who have ties to the University, over 75% of the SFCC Pullman faculty and staff are either currently working for WSU or are WSU Alumni. The previously limited class schedule has been returned to it’s original state and classes will run as normal at the Gladish Community and Cultural Center for fall 2016. 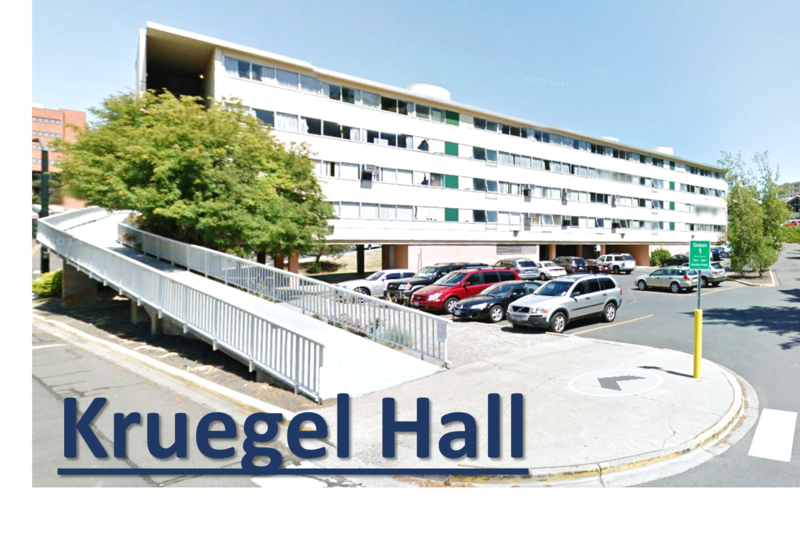 Sometime during the winter and spring quarters, the center will move into Kruegel Hall. Unfortunately, President Gullickson’s pronouncements of possible center closures scared many students away. Some students who intended to spend another year at SFCC Pullman transferred to WSU shortly after President Gullickson’s visit. Foreign students who received letters saying the center would only be open for one more year and have limited course offerings, chose to attend school elsewhere. As a result, it’s no surprise that enrollments for fall are down significantly over this time last year. So, if you know anyone interested in talking a class, but can’t afford WSU, spread the word and let them know we still exist! It's Official: SFCC Pullman has Moved! This entry was posted in Blog and tagged SFCC. Bookmark the permalink. • WSU and CCS are working together to establish a community college center on the WSU Pullman campus. • WSU leaders have identified Kruegel Hall as the campus location, which would be shared with WSU’s international programs. This new leased space and accompanying parking will allow CCS to serve more students. • We have established January 2017 as the proposed starting date for community college operations on WSU’s campus. Both SFCC and SCC will move their Pullman classes and support services from the Gladish Center to WSU’s campus at that time. • During summer and fall quarters, SFCC and SCC will continue to operate out of the Gladish Center with a full schedule of regular courses. The transfer of operations to WSU will be completed by June 30, 2017. SFCC currently provides about 34 different transfer classes each year to about 175 students and SCC provides adult basic education and English-as-a-second-language courses to about 100 students in Pullman. Because of this new opportunity to expand Pullman operations, SFCC will continue to offer a full array of courses in Pullman, rather than scaling back operations. • Leadership from WSU and CCS will be spending the next few months developing a memorandum of understanding and a detailed agreement. This agreement will address such topics as lease costs, student services and facility usage. There is the potential for some shared services and facilities, but details are not yet determined. • We are determining our staffing structure and our course offerings for 2016-2017 operations in Whitman County. • WSU is the primary transfer college for the SFCC Pullman students and this partnership will enhance the transfer opportunities for the community college students in addition to providing them with a college campus experience. • Already 70 percent of the SFCC Pullman students have been enrolled at WSU and are seeking community college classes and support so that they can re-enter WSU. • Community Colleges of Spokane is committed to serving Whitman County. Just a little bit of inaccuracy in your imagery… That is building McAllister which was demolished a couple of years ago. The sky bridge is also no longer there. The Kruegal Hall plan has been scrapped. It needed $60,000 in renovations just to provide office space and classrooms would be very small and cramped. The needed remodel was not disclosed when WSU offered the property. SFCC is now looking at the Math Annex, which I’m told has no classroom space. The move is now expected to take place in March 2017. Classes are running as scheduled in Gladish Community Center for January 2017.